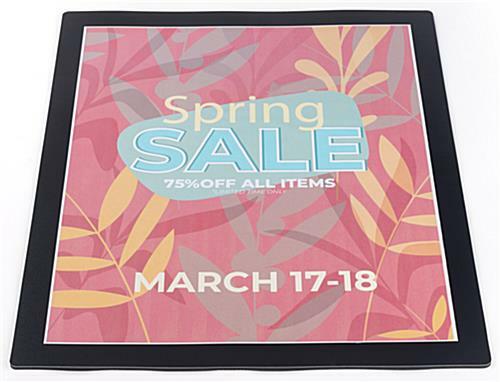 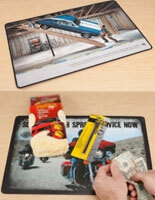 These 16x20 retail counter mats make great tabletop displays for banks, retail stores and markets. 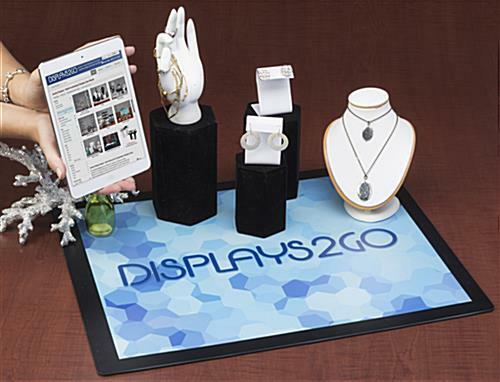 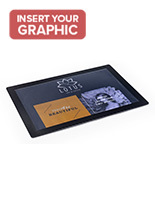 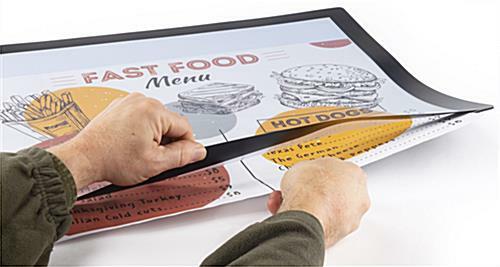 With these desk pads, users can print out custom graphics and place them in the slide-in pocket. 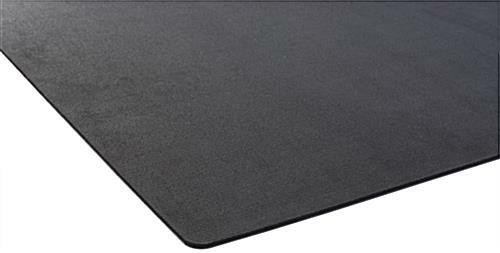 In addition, each of the retail counter mats features a rubber backing that prevents them from slipping. 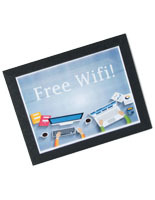 This type of display frame can be placed in either a portrait or landscape orientation. 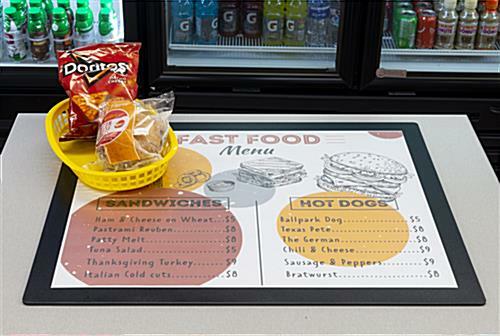 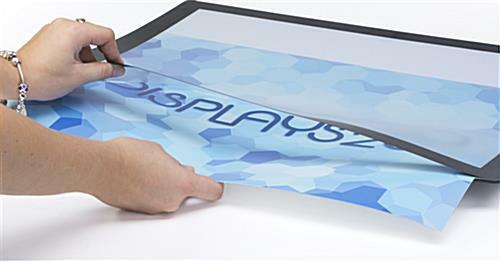 The counter mats protect custom images with their clear plastic lens. 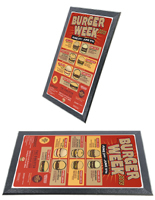 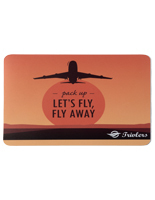 The rubber-backed desk pads are ideal for promoting new offers or services. 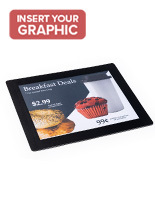 32.0" x 18.0" x 0.0625"